As a founding member of the Container-Based Sanitation (CBS) Alliance, SOIL is proud to see other container-based technologies gaining steam worldwide. In an article for Next Billion, LooWatt’s Virginia Gardiner explains that it’s necessary to shift away from seeing flush toilets as the solution to the sanitation crisis and argues that CBS systems, like SOIL’s EkoLakay in-home toilet, are the most viable sanitation intervention for rapidly urbanizing communities. “In the 21st century, sanitation infrastructure has to move off the grid, just as mobile communications did in the 20th. 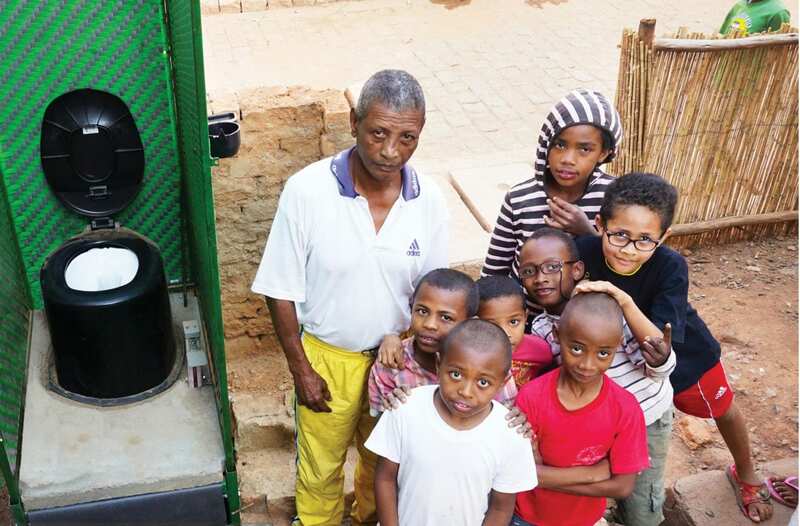 A growing number of companies – including SOIL in Haiti, x-runner in Peru, CleanTeam in Ghana, Sanergy and Sanivation in Kenya, and Loowatt in Madagascar – are all piloting the provision of non-sewered sanitation to households through container-based sanitation (CBS). The CBS approach promotes toilets that safely contain waste for hygienic servicing, decentralized treatment, and waste-to-value systems that convert human waste into energy, fertilizer and other byproducts. Interested in learning more about the movement to expand access to the container-based technologies that SOIL has been pioneering in Haiti for the past ten years? Follow this link to Next Billion to read on. No Replies to "Next Billion: Rethinking the Flush Toilet"